Next Post Would Anyone Like to Guess What This Is? Yeah your right. I tried drizzling wine on it but it wasn’t very good. Yeah, wasn’t my finest hour…. Well, maybe if it was white wine it could have been OK … but no way Jose on the red! So I understand the very real potential of backlash from this, but what is a shamrock shake? 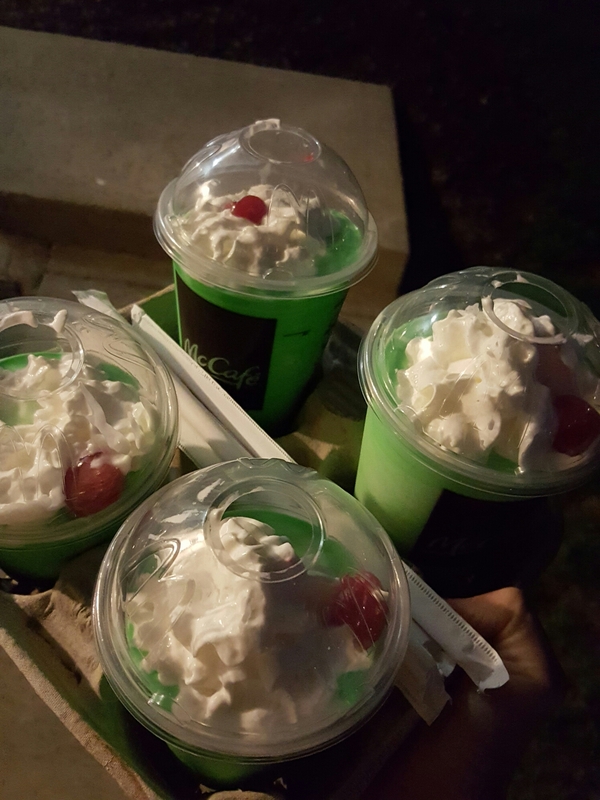 What’s a shamrock shake? Are you telling me shamrock shakes never made it up north? It’s a high calorie, delicious little nugget served in February and March to celebrate St. Patricks day. It has it’s own Wikipedia page for https://en.m.wikipedia.org/wiki/Shamrock_Shake page for cryin’out loud. How can I get one to South Korea? LOL! They may have very well made their way to Canada. If they are so popular then I’m sure they have. I have just never had one. Maybe I’ll go to McDonald’s when I’m out this weekend and see if they have it? Yes and I want to hear about it! They were started in the 70’s. Is that what your Shamrock shakes look like?!?! Why don’t ours have whipped cream.. Is that a cherry.. in the fancy cup??! This is an outrage! I’m getting on to Patrick! Yes, not cool they didn’t add whipped cream. You need whipped cream! I like the Shamrock shake. Mine don’t look as green as yours and they don’t add cherries. What the hell??? I would demand the cherries!! Wait a minute….where are you from again? San Francisco – US Hispanic Native Father and Irish Mother. Brought up in Scotland, lived in myriad places but as red, white and blue as any other American. God, that sounds bloody awful. LOL!